If you want flawless bridal hair and make-up done in the privacy of your Cabo hotel or villa rental, then you must call Suzanne Morel Face and Body Care! 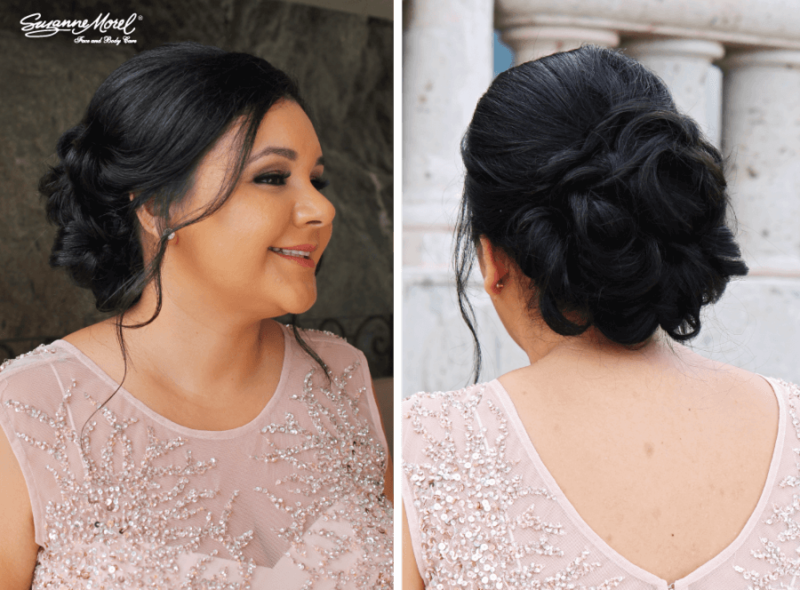 For more than 14 years, our experienced team of stylists and make-up artists has served the Los Cabos region with professional, on location wedding styling services. We recently had the pleasure of styling April and her bridal party at their gorgeous luxury private villa rental in the exclusive Pedregal community overlooking the Pacific Ocean here in Cabo. The team of wedding planners at Creative Destination Events referred April to us, and we were so thrilled to be a part of her destination wedding. 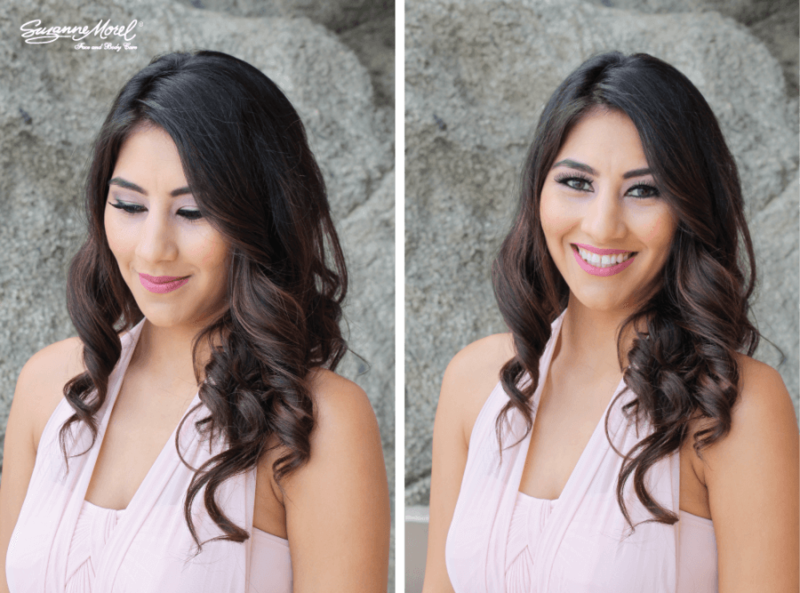 April and her entire bridal party all had gorgeous skin and beautiful dark hair, so our team used a few techniques that simply enhanced their natural beauty to ensure each lovely lady looked flawless on camera! We played up everyone’s dark eyes with well-defined brows, dark liner and a pale pink shadow to complement the look. A fun pop of pink on the lips and a touch of blush had these ladies looking ready for their walk down the aisle! A little variety with the hairstyles is always a good thing, so we gave some of the girls an intricate up-do, while others looked just as stunning with softly styled curls. The best Cabo bridal hair and make-up salon for your destination wedding is Suzanne Morel Face and Body Care. Call us today at (619) 819-9180 for a complimentary phone consultation!